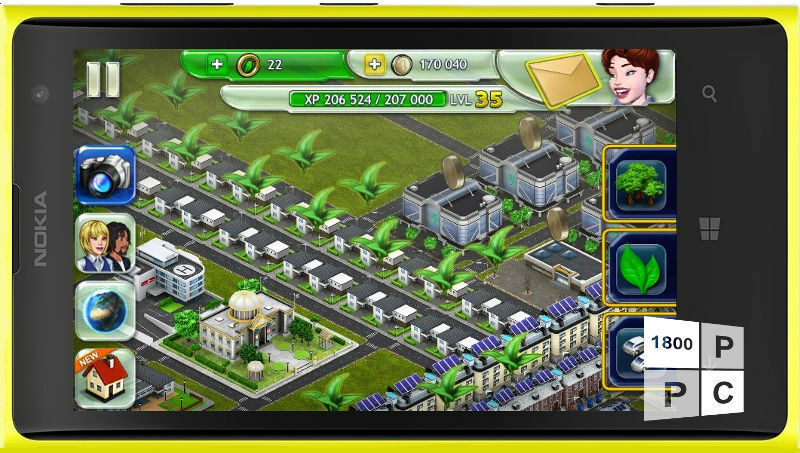 Going green is never easy, and that truth was put at the forefront with the release of Modern Mayor for Windows Phone by Nokia long ago. Now a part of the Microsoft Mobile division, the game has undergone quite a few changes over the past year or so with new missions and new buildings being added. That update streak continues with the release of version 2.0.1.0 today. The new update actually makes a number of notable changes and improvements to the city-building and cleaning sim. For starters, it can now be played offline, so if you find yourself with little or no network coverage, it no longer means your play time is compromised. Unhappy people can now move out, so now you have even greater incentive to keep your residents happy by keeping your city clean (and trust me, they can get awfully picky in Modern Mayor). The update also includes two new buildings: the Investment Bank as well as the Geological Research Institute, both of which will give your city a nice income and status boost. Finally, “various gameplay improvements” have also been made to the game, though Microsoft stopped short of announcing what these changes entailed exactly. Download Modern Mayor via the QR code above.